Between summer vacations and lounging around the pool, you still need to find time to maintain your deck. Chances are that you are using your deck more now than ever this time of year. 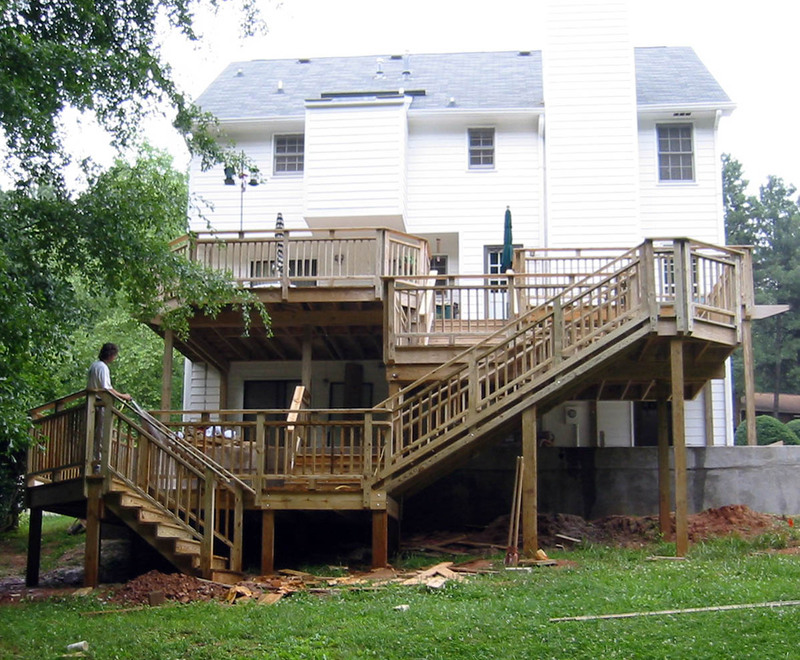 And between the constant use, hot sun, humid weather, and occasional storm, your deck takes a beating during the summer. So do the right thing and follow the following deck maintenance steps. Work in the Morning: The sun is your worst enemy when it comes to deck cleaning and maintenance. To remedy this, it is recommended to perform most work in the morning, before the sun reaches its highest point. Cleaning: Time to use a little elbow grease. Get down on your hands and knees and start scrubbing. The end result will be well worth the extra effort. Power Washing: Sometimes scrubbing just won’t get everything. When this is the case, it is time to break out the big guns: the power washer! Stain & Sealer: Once your deck is clean, dry, and free of debris, it is time to stain and seal. Call Freedom Fence & Home: Are you stuck? Maybe it is time to call the decking experts at Freedom Fence & Home. We are licensed and insured in the state of Maryland and our record of zero complaints with the Maryland Home improvement commission and the better business bureau speaks for itself. We are constantly testing new products to stay ahead of the competition and bring you the most affordable prices. This entry was posted on Wednesday, July 25th, 2012	at 6:03 pm	. Both comments and pings are currently closed.